Asbestos is cheap, durable, flexible and naturally acted as an insulating and fireproofing agent. The construction and manufacturing industries fell in love with its potential and used asbestos-containing products whenever possible. 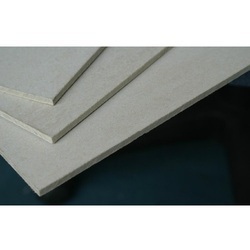 We offer Asbestos mill board that is fabricated from selected clean, long asbestos fibers of uniform quality assorted with suitable incombustible binding materials. These mill boards are known for its features such as heat and fire resistance and strength. 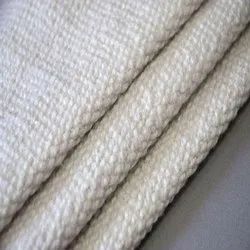 Several ends of asbestos yarns are uniformly twisted to produce very flexible asbestos ropes. 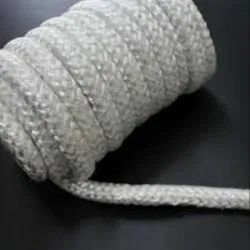 These asbestos rope are widely used in coke oven doors, between the fire bricks and steel frame-work in steel plants as well as in boiler houses. These asbestos ropes satisfy the need for a resilient yet tough material to accommodate differences in thermal expansion and effect an efficient seal against leakage of gases. Asbestos Tape - Belt. 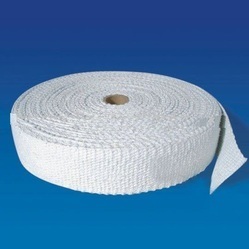 Asbestos Webbing Tape Are used for wrapping of exhaust pipes, hot and cold insulation, electric cables, living switch boxes, drying oven, conveying hot articles in glass Industries, oil lamps and heater. Asbestos Cloth Woven from Asbestos Yarns Possesses Excellent fire, rot and vermin proof qualities. Therefore it is used in a number of diversified applications in a variety of textures, thicknesses and weights to suit these applications. 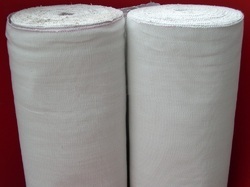 Asbestos Cloth is a fabric to form pliable mineral textile with high tensile strength and high resistance to heat, flame, chemicals and weather. Asbestos cloth is used in manufacturing of annealing and fire smoothing blankets, belts for conveying heated objects through oven and in dryers such as blue print machines, covers for rollers on laundry flat-work ironers, for laminating cloth in plastic parts covering heat insulation, curtains for dryers, welding booths, shields to protect workmen from fire, all types of safety clothing, filter cloths, forge furnace hood mills scale fenders, wrapping for sheet glass and conveyor rollers and many more other products. We are providing Ceramic Fibre Cloth to our clients. 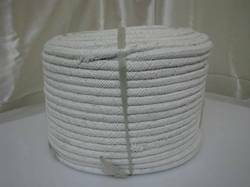 We are supplying superior quality Ceramic Fiber Ropes. The Ceramic Fiber Ropes that we offer are a good substitute for Asbestos Rope & Gland Packings. We can also offer the Ceramic Fiber Ropes with S.S. wire reinforcement. Rope Size : 6 mm & Up. Ceramics fiber products are inorganic heat insulation materials with many characteristics. Such as high temperature stability, low thermal conductivity, low heat storage, light weight, excellent thermal shock, corrosion & oxidation resistance, high elasticity, resistance against acid & chemical stability. This products are widely used in furnace, boiler chimney & vessel doors, fireplaces, tunnel furnaces, ovens, field of petrochemicals, foundry, power plants, electronics, shipbuilding, aerospace automobile, etc. This products are excellent replacement of Asbestos Rope & Gland Packing.This products are also available with S.S. wire reinforcement. In modern industry this are very ideal insulation materials and excellent replacement of Asbestos Cloth & Webbing Tapes.